Sports and Entertainment Marketing 2E (Hardbound) incorporates feedback from instructors across the country. New video, more activities and projects, examples that cover a wider variety of teams and artists, new photos, and more comprehensive DECA prep combine to improve this second edition. 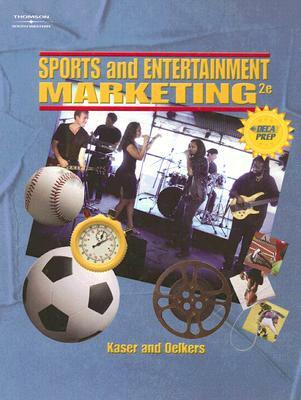 The hugely popular sports and entertainment topics continue to be the foundation for teaching marketing concepts. Each marketing function is incorporated throughout the text and is highlighted with an icon to indicate how it is used in the marketing process. By: Kaser, Ken; Oelkers, Dotty B.